I'm still here - I promise! Over the past month we have been so busy doing a lot of work on our new home that we have been depending on our grill and takeout for dinners. We finally moved in yesterday and I can't wait to get back to cooking and trying new recipes. Several weeks ago my daughter's school planned a dessert bar for the teachers for Teacher Appreciation Day. Everyone was signing up to bring cookies, cakes and other sweets. I decided to even things out a bit and bring fruit. 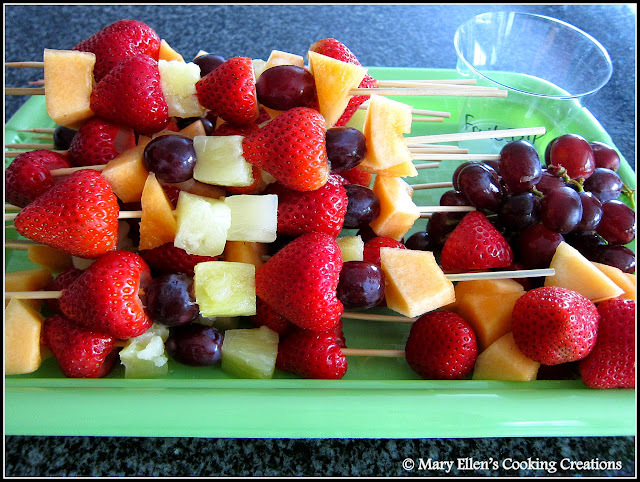 I decided to make skewers of strawberries, pineapple, grapes, and cantaloupe served with a sweet cream dip. To make things a little easier, I bought a jar of sliced pineapple in 100% juice (not syrup). 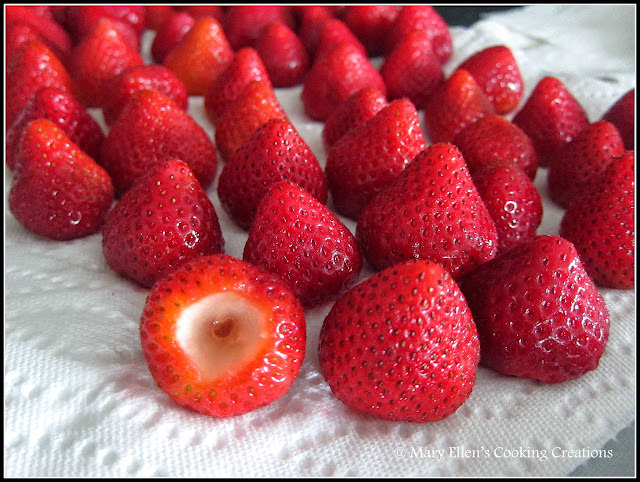 The grapes didn't have to be cut, so the only think I had to do was remove the stem/leaves from the strawberries (very simple using a 1/4 tsp) and cube the cantaloupe. Simply skewer the fruit onto the wooden skewers, alternating fruit to make them pretty. I made them the night before and stored them on a try covered tightly with plastic wrap. 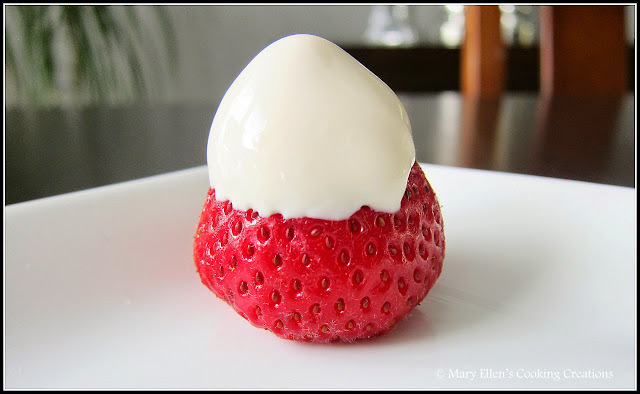 I found the recipe for the Sweet Cream Dip on Food.com and it was the best part of this treat - so easy (three ingredients!) and seriously addictive. I put a little in a bowl for myself and ate it with a spoon.. Combine these three ingredients. 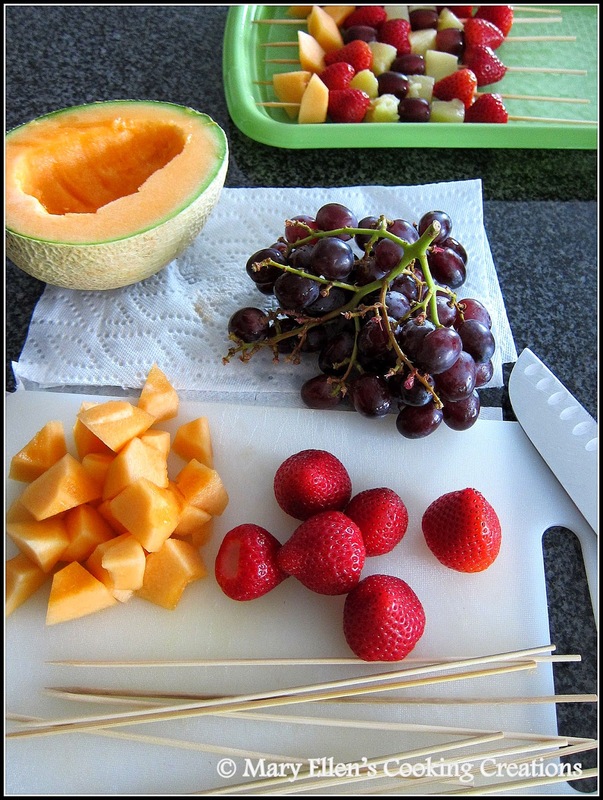 Let stand, covered, in the fridge for at least 2 hours or overnight.